Dental implants are the best way to replace missing teeth. With removable partial or complete dentures you must take your teeth out after meal and night. Teeth were made to stay in your mouth. 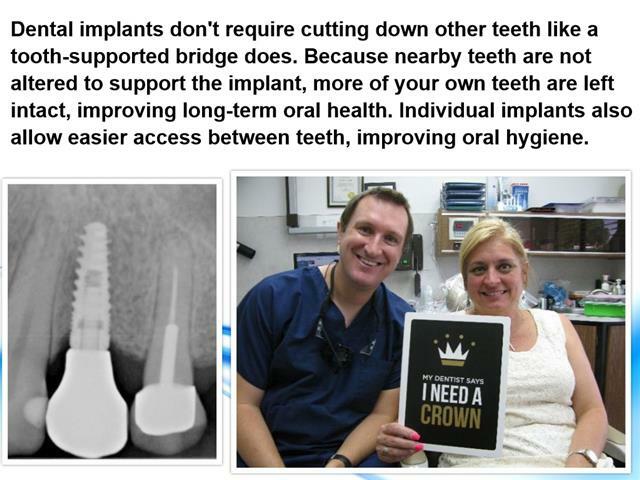 Implants eliminate the hassle of taking your teeth out as they are a permanent and fixed (does not come out) solution to missing teeth. Dental implants are simply artificial roots that are inserted into the jaw bone. The dental implant is a titanium cylinder. The jawbone will grow up and around the implant locking it securely in place. 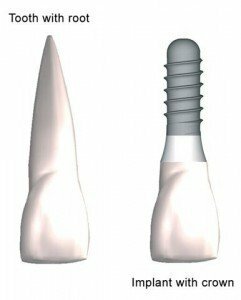 Now that the artificial tooth root is stable a cosmetic crown can be placed on the dental implant. The new tooth attached to the implant and is very natural looking and restores the patient’s smile! Dental implants owe much of their fame and effectiveness to “osseointegration”, a big word that simply means the integration of the metal implant with the bone. After the implant is placed, bone cells fill in the space right up to the metal implant, strengthening the jawbone in the process and securing the implant in the bone. Dr. Michael Nugent is a Pasadena, Texas Family Dentist. His office is located at 3421 Burke Rd, Ste A, Pasadena, Texas. 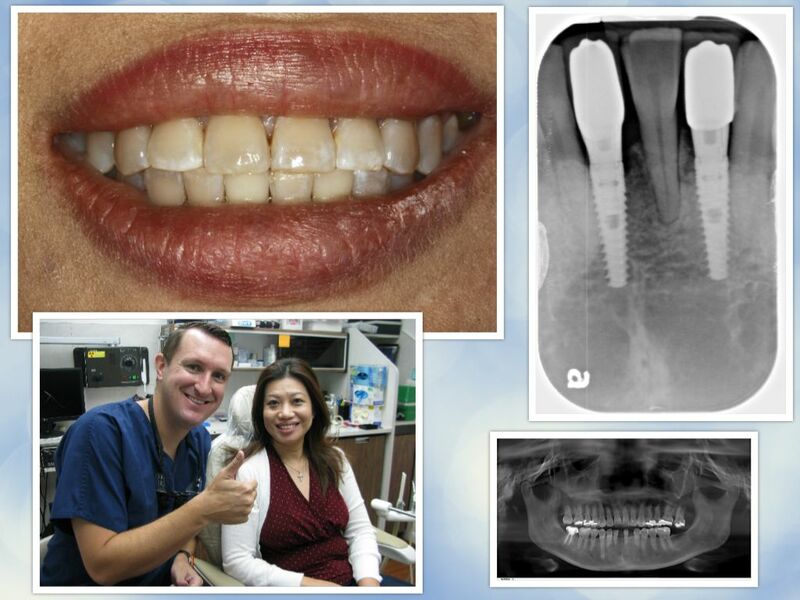 Dr. Nugent has been working with dental implant since 2005. When Dr. Nugent’s parents lost teeth , Dr. Nugent restored the missing teeth with dental implants. He has also completed dental implants on his in-laws and team members. 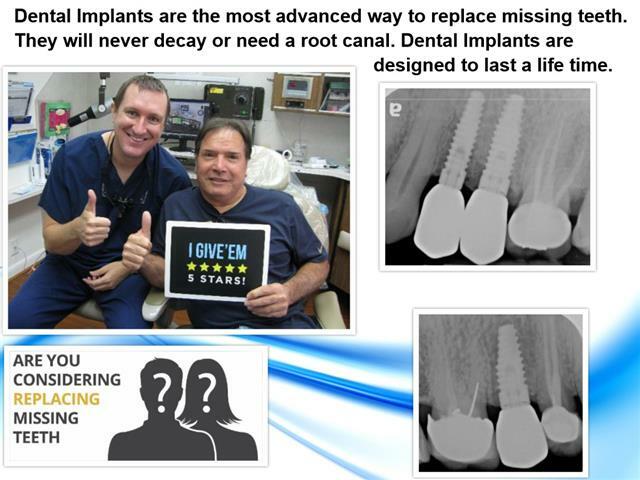 Dental implants are the Gold Standard when replacing missing teeth. Call our dental office today at 713-941-8261 to schedule your award winning dental appointment.